JIVE M - indoor agility with the ultimate outdoor high performance. 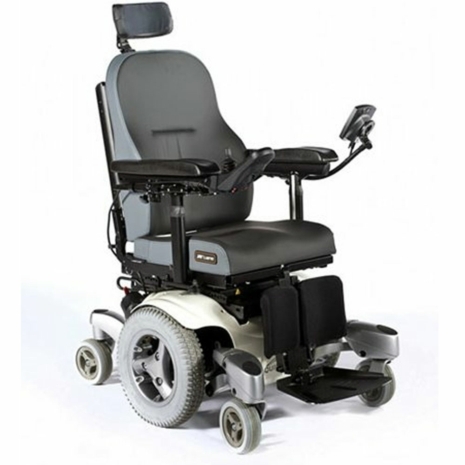 Turning on its own axis, its ultra-small turning circle, narrow width and low seat-to-floor height gives excellent manoeuvrability indoors. Going out SpiderTrac suspension helps to navigate onto and over steep transitions without jolts, forward pitching or instability. With expandable controls, 13kph top speed, 60/70 Ah batteries and up to 40km range, high performance power will always be at your fingertips with JIVE.